And her heart starts drumming. And his heart starts humming. And she forgets everybody else around. And he feels he’s no longer touching the ground. Love is when the nights seem brighter. Seem to flash by in a daze. To simply be the guides. 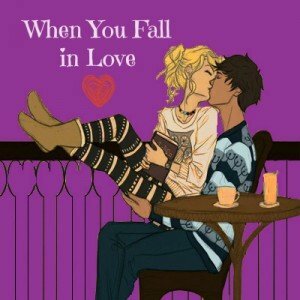 That they have fallen in love and can’t get out. Brilliant poem! It brought tears (happy tears, don’t worry) to my eyes. Such an amazing answer to the simple prompt of ‘falling'; really inventive. I also love the vocabulary you use. This poem is so sweet! I especially loved your music metaphors. Great job! Great… It was really good! When will the finalists be emailed with a notification? To find out if you are a finalist, you need to check the 2013 winners page.